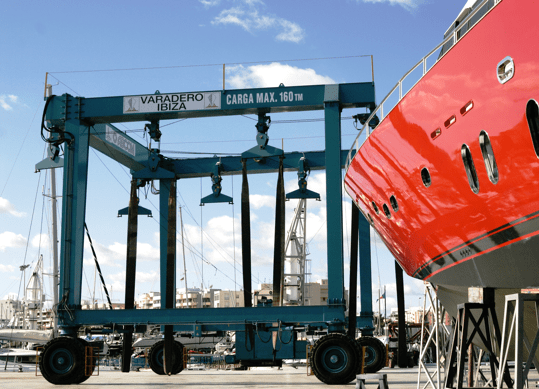 Right in the centre of Ibiza, Varadero Ibiza offers modern facilities with a full range of maintenance and repair services for yachts: high-pressure cleaning, antifouling, painting, carpentry, mechanics, electronics, etc. 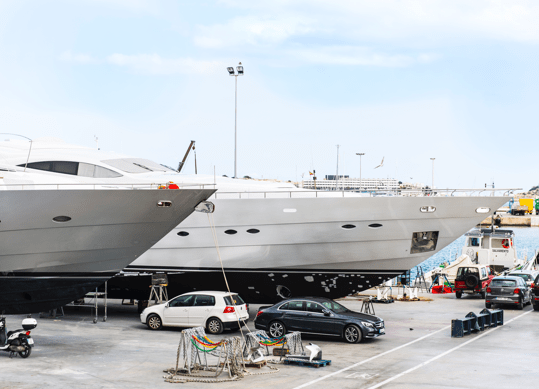 Our travelift service, that permits the hoisting and relaunching of yachts of up to 160 tonnes with a maximum beam of 10 metres, makes this shipyard one of the largest in the Balearic Islands. 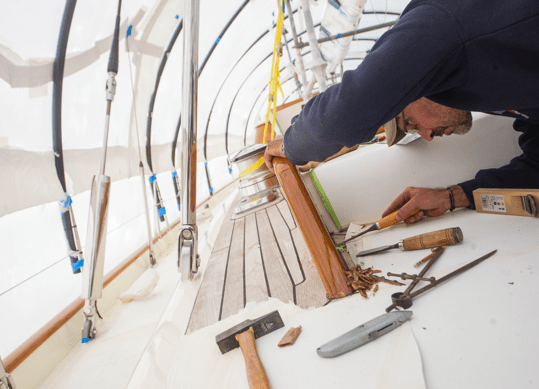 We can offer you the best industry trades on the island with the differentiating advantage that the majority of the workshops lie within our own shipyard, significantly streamlining all maintenance and repair work on yachts. Request a no-obligation quote by completing this form. We will contact you as soon as possible. An efficient and highly-qualified team will offer you the best service for the care of your yacht. 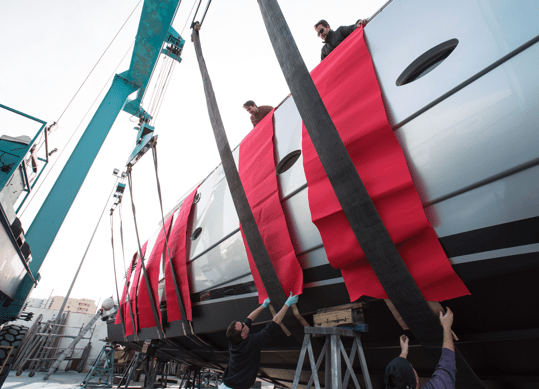 Fully-refurbished berths and workshops for yachts of up to 45 m length. Hoisting and relaunching of yachts of up to 160 tn and 10 m width. Painting, Antifouling, Carpentry, GRP composites, Turnery and the manufacture of metal parts, Electricity, Electronics, Mechanics, Hydraulics, etc. Sustainable shipyard oriented towards protecting the environment and raising awareness among its users of the need to care for their surroundings. 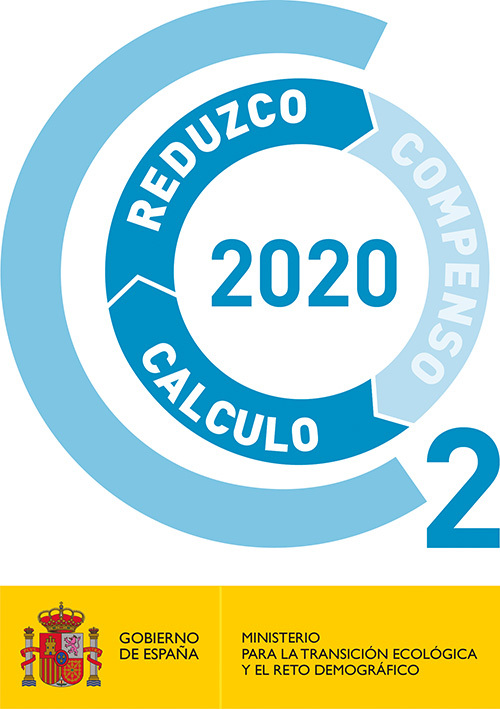 The commitment of a team that wholeheartedly works towards providing an effective response to your requirements. If you want to receive news and information from us, please fill in this form. Find out the state of the sea and the wind in Ibiza and the Mediterranean.